This is the last in a five-part series examining how the northeast and the nation are progressing with efforts to deal with the March 2011 earthquake, tsunami and nuclear crisis. Even after the Fukushima No. 1 crisis in March 2011 forced Japan to rethink its use of nuclear energy, the resource-scarce nation had hoped nuclear power would still serve it well. Although only nine of Japan’s 38 commercial reactors are currently operating amid delays in getting approval for restarts by the Nuclear Regulation Authority, the government and the nuclear industry had hoped it could export its way out of trouble. For the government, the plan was a key component of its infrastructure export program to boost domestic economic growth. For Japan’s nuclear industry, overseas opportunities were the last hope to keep it afloat after the Fukushima disaster. And for a while, it appeared to be working. Big names like Toshiba Corp., Hitachi Ltd. and Mitsubishi Heavy Industries Ltd. made inroads into foreign markets with the help of past and current prime ministers directly selling the idea abroad. Japan’s public-private partnership to build power plants abroad was regarded as a lucrative opportunity. After all, nuclear energy, which emits virtually no greenhouse gases while generating power, is in demand in countries such as Turkey, Poland, Bangladesh, Pakistan and Argentina that are eager to cut carbon dioxide emissions and boost their energy security. Now those plans are falling apart at the seams. In the past two years, almost all of Japan’s nuclear export projects have ground to a halt, indicating that even the nuclear export industry cannot escape the stigma of Fukushima and raising the question: Is nuclear power still good business for Japan? In January, Hitachi President and CEO Toshiaki Higashihara announced plans to freeze a ¥3 trillion project to build a nuclear power plant in the United Kingdom as the company, blaming rising costs, reported a ¥277 billion loss attributed to the project. He denied that the U.K’s struggles with Brexitwas a factor. Hitachi was seen as the last holdout after some of its Japanese rivals threw in the towel in the global nuclear business. Toshiba Co. abandoned its international nuclear business altogether in 2017, and Mitsubishi Heavy is reportedly considering pulling the plug on its project in Turkey. To be sure, the reasons behind each case vary. Although Hitachi didn’t cite the U.K.’s tenuous business environment in the face of the Brexit drama, it was a factor in the process, according to Takeo Kikkawa, a professor of management at Tokyo University of Science who studies nuclear policy. Toshiba jettisoned its nuclear business after selling its U.S. nuclear unit, Westinghouse Electric Co., which it acquired in 2006 and subsequently left the storied Japanese electronics company on the brink of bankruptcy. Meanwhile, Mitsubishi Heavy’s Turkey project is faced with skyrocketing working expenses. Yet there is a common factor behind all this. After the 2011 nuclear catastrophe, experts say companies’ inability to adapt to the fast-changing nuclear energy landscape — growing skepticism, rising costs and more time needed for safety upgrades, and cheaper alternatives like renewable energy — has chipped away at their ability to compete with global rivals. Japan, which relies on imports for most of its energy consumption, has long embraced nuclear power, especially as the government touts its friendliness to the environment. In 2010, the year before Fukushima, the government had the ambitious goal of building 14 new reactors and raising the average operating rate nationwide by around half to 90 percent by 2030. Then the magnitude 9.0 earthquake struck northeastern Japan in March 2011, causing the three online reactors at the Fukushima No. 1 plant to shut down. The quake also unleashed a towering tsunami that knocked out the facility’s backup generators. With no power to keep the three reactors cool, they went into meltdown. The Japanese public is growing increasingly skeptical whether it can continue to trust nuclear power. 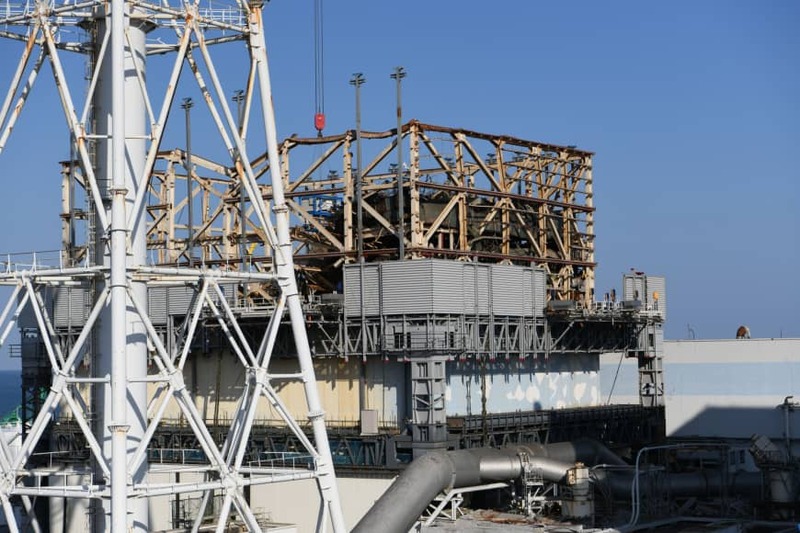 Following Fukushima, the government had shut down all reactors by May 2012 and was newly requiring reactors to pass what regulators described as one of the world’s toughest safety standards before resuming operations. Currently, only nine out of the 38 commercial reactors are up and running. The government maintains that there will be no construction of new nuclear power plants, but nuclear energy will continue to be an important “baseload” power source, meaning it supplies a stable source of energy throughout the day. But the nuclear industry will miss a government target of providing at least a fifth of the country’s power by 2030, according to an independent analysis by the Reuters news agency in December. With prospects for building new reactors at home looking bleak, Japanese nuclear companies had looked abroad for survival. Even though then-Prime Minister Naoto Kan pushed to wean the country from nuclear energy, he pressed ahead with exporting nuclear-energy infrastructure. His successors, Yoshihiko Noda and Shinzo Abe, followed suit. Hiroshige Seko, the minister of economy, trade and industry, told reporters the day after the Hitachi announcement in January that the government will not change its course. There were 443 nuclear plants in operation worldwide as of Jan. 1 last year, according to the pro-nuclear nonprofit Japan Atomic Industrial Forum Inc. Following the Fukushima disaster, Germany, South Korea, Switzerland and Taiwan decided to end dependence on nuclear power, while many countries, including the United States and France, have continued to rely on it. The demand for reactors appears to be resilient worldwide. In particular, China and Russia have vigorously made inroads into foreign markets in recent years through their state-owned enterprises. For example, the CEO of the Russian state-owned energy company Rosatom, Alexey Likhachev, said that as of last year it had contracts to build 35 new reactors, 67 percent of the worldwide total for foreign reactor construction. Prime Minister Abe has tapped into emerging countries for possible nuclear export opportunities, culminating in a landmark deal in 2013 to build a nuclear plant in Turkey. 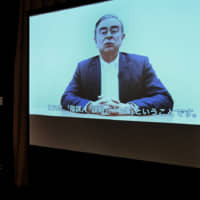 Tatsujiro Suzuki, a nuclear engineer and director of the Research Center for Nuclear Weapons Abolition at Nagasaki University, explained that exporting nuclear power-related technology was part of the country’s bigger economic growth strategies in infrastructure export. 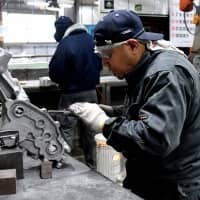 However, Suzuki and other experts say the Japanese firms are facing fierce headwinds. One source of these woes is the lingering curse of the Fukushima crisis. Experts say Japan’s lack of progress in restarting its existing reactors and freezing new nuclear plant construction are undermining the consortium’s endeavors. Another factor is ballooning costs over safety-related measures stemming from Fukushima. 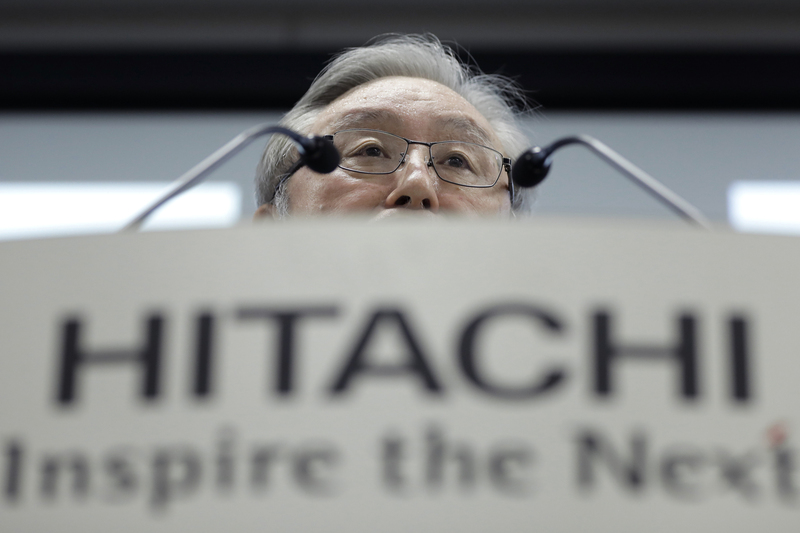 Hitachi CEO Higashihara cited it as a constraining factor at his January news conference. The Japanese media reported in December that Mitsubishi Heavy is considering ditching the project in Turkey as costs for beefing up safety have exceeded ¥4 trillion, more than double its initial estimate. 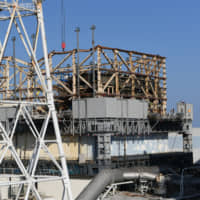 In addition to costs, the Japanese industry is facing a series of other problems, said Mark Hibbs, a senior fellow in the nuclear policy program at the Carnegie Endowment for International Peace. One of them is prolonged internal tension between the industry and the government. The national governments of other prominent nuclear power-exporting countries, such as the United States and France, have historically assisted their companies in securing contracts, he said. Such support allowed firms to commit to projects without having to worry about excessive risks. 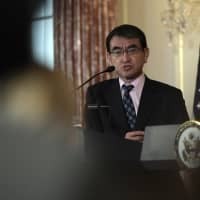 In Japan, however, nuclear industry executives are skeptical that the government will provide the necessary financial support to prosper abroad, Hibbs said. Seko, the economy minister, remained ambivalent in January about the possibility of the government providing more financial support, saying it is up to individual operators whether to stay in the business. 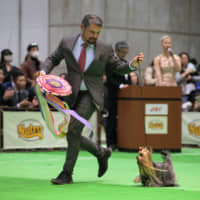 “Japan has long been the example that demonstrates that just having a big domestic nuclear energy program does not guarantee that a country will be a successful nuclear power plant exporter,” Hibbs said by email. Furthermore, experts also pointed out that the declining cost of alternative energy has outweighed nuclear’s benefits. The cost of solar energy generation tumbled as much as 70 percent between 2009 and 2017, according to Bloomberg, while the cost for wind power fell by 85 percent between 1984 and 2014. In 2017, Toshiba Corp. decided to pull out of its international nuclear business after its U.S. subsidiary, Westinghouse Electric Co., filed for bankruptcy. Sources say Toshiba has been mired in a number of problems. 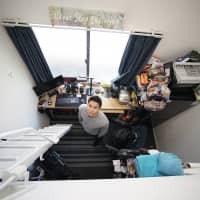 Kikkawa, the professor at Tokyo University of Science, said the firm erred when it decided to enter the nuclear business in the U.S., which has embraced tapping into its vast supply of cleaner natural gas. 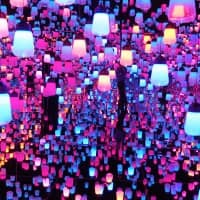 “The biggest failure of Toshiba was that it stepped on the accelerator instead of the brakes when the Shale Revolution occurred,” Kikkawa said. Suzuki said more people are gradually becoming aware that nuclear energy is not competitive, especially in deregulated electricity markets in the U.S. and Europe. Amid the background of rising costs, skepticism toward nuclear energy and the existence of cheaper alternatives, experts agree that nuclear is getting riskier and more difficult as a business proposition. Hibbs said Chinese and Russian nuclear firms backed by their governments have been supplying nuclear plants at cheaper costs than Japanese and Western firms. The rise of state-owned enterprises undertaking the nuclear plant business, though, has raised national security concerns. Following Hitachi’s announcement, there has been talk of consolidating the nuclear divisions of Japanese firms, but no concrete blueprint has been set. Experts recommend that the government and private firms focus on reviving the domestic market before looking abroad for business opportunities. In particular, they say the companies could still make a profit out of maintaining Japan’s existing power plants. The companies also could make a living by decommissioning power plants that they’ve built. The decommissioning of Fukushima No. 1, for instance, will take decades. 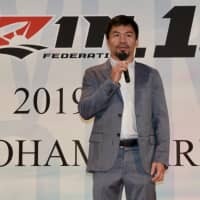 Suzuki is optimistic that the companies can remain competitive in the field, but Miyamoto disagrees. This series examines how the northeast and the nation are progressing with efforts to deal with the March 2011 earthquake, tsunami and nuclear crisis.